We picked up this fun little keyboard from our local recycling centre for $10. It's really fun to play, but there was a problem - it requires 6 C-size batteries. That's $20 worth of batteries, twice the cost of the keyboard itself! This didn't seem right. 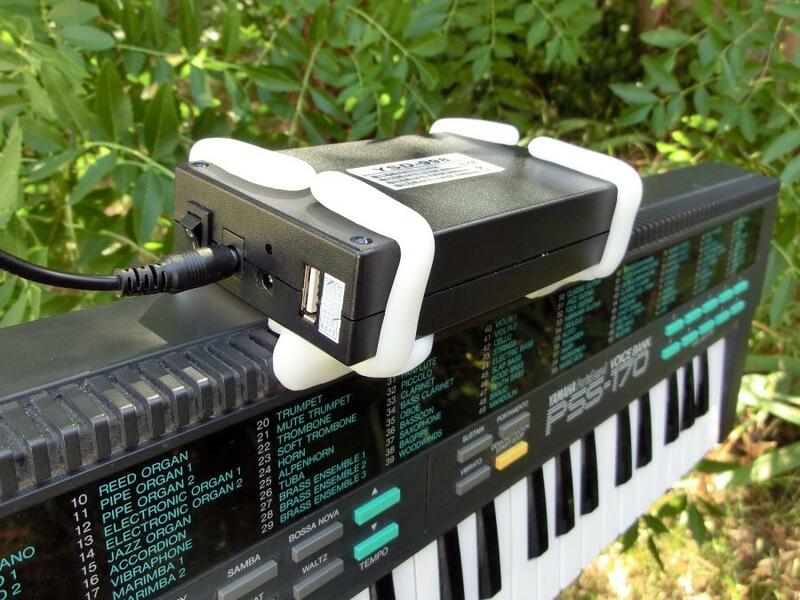 Instead we made a simple Plastimake clip to attach a rechargeable 12v Lithium Ion battery directly to the back of the keyboard. 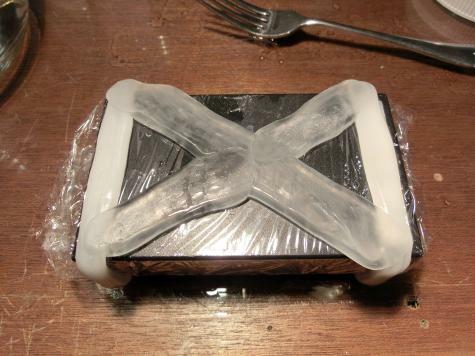 Wrap the battery in cling wrap to ensure warm Plastimake doesn't stick to it. Make sure your battery is switched off and don't leave it wrapped in cling wrap for long. Lay a few strips of warm Plastimake around the battery. 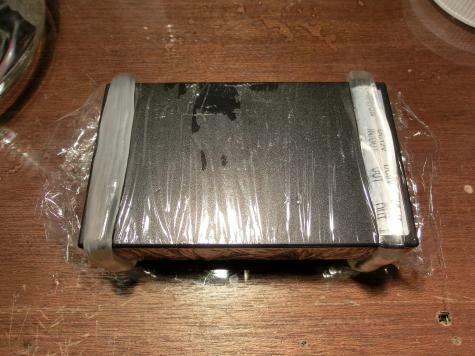 Plastimake is really strong, you won't need much to hold the battery firmly in place. Add a few pieces of warm Plastimake to attach the battery onto the keyboard. 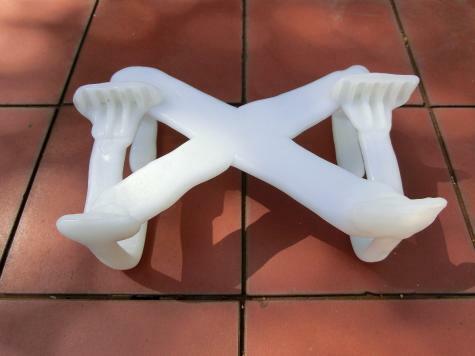 The exact pieces you need will depend on the shape of your keyboard. 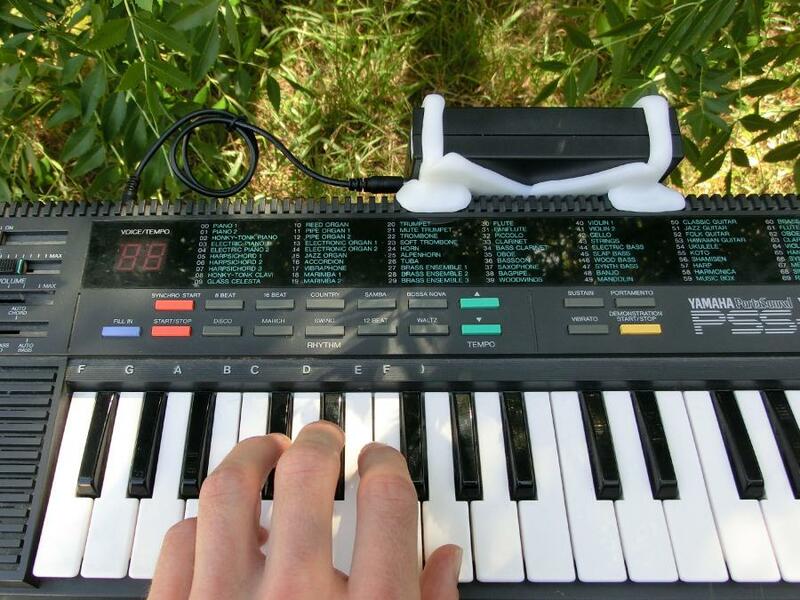 We found that Plastimake didn't stick to this particular keyboard which made things easy, you might need to wrap cling wrap around your keyboard if you find that it sticks. Once it all cools you can remove the cling wrap. 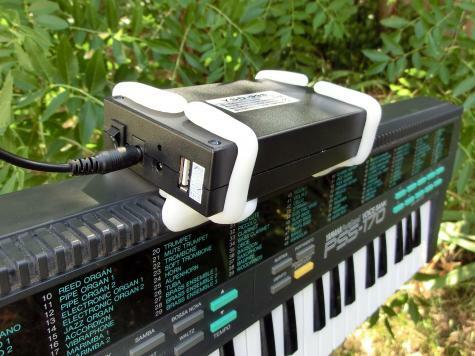 Your new clip should clip firmly onto both the battery and the keyboard.